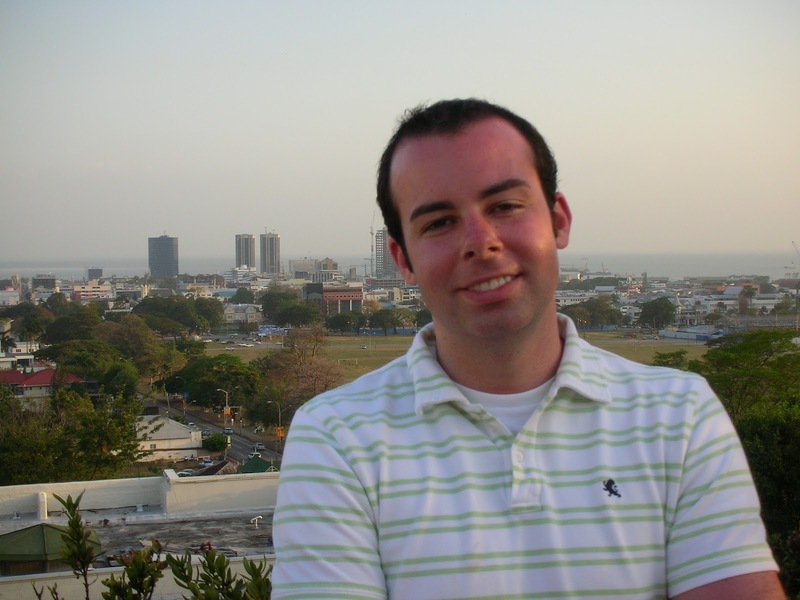 I did manage to get out and see Port of Spain several times while on vacation. Each night, when EAD got home from work we’d head out at least for dinner and a bit of a walk around town. 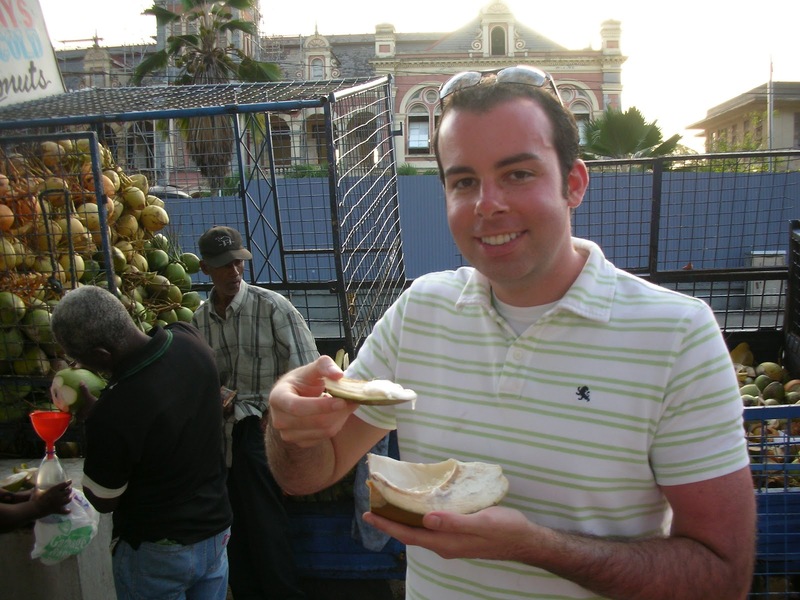 Trinidad has some great food – be it native (ish) Trinidad or Indian. The curries and meats were really quite delicious. I didn’t make notes on the restaurants we visited, all were good, but none were really worth revisiting. 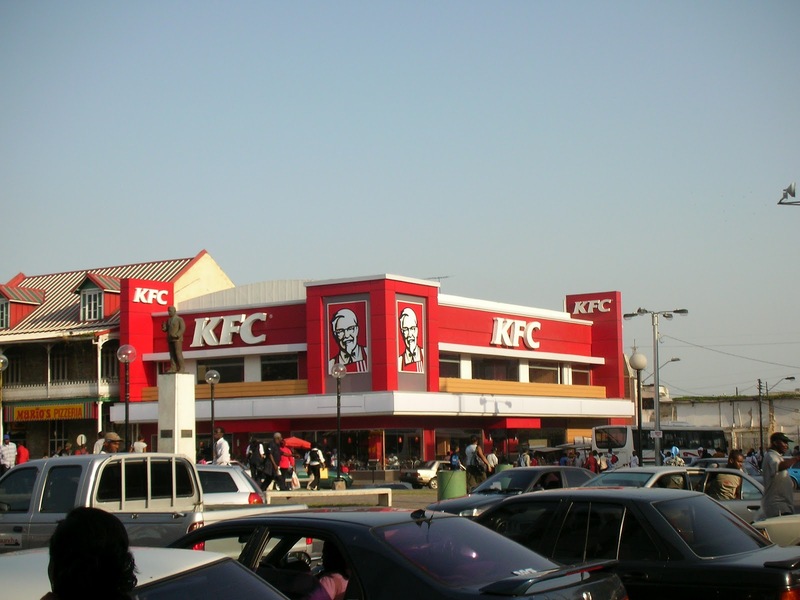 One interesting restaurant fact, that I heard from a couple of people: The largest grossing KFC restaurant in the world is in Port of Spain — uh, no, we did not go. We also spent an evening walking around Queens Park Savannah, which is one of the worlds largest roundabouts – locally it’s just called the Savannah. This huge open park is nearly 260 acres and is so flat. Like other cities, this open space was used to graze animals and then eventually the city grew around the green space and it eventually became a great park. 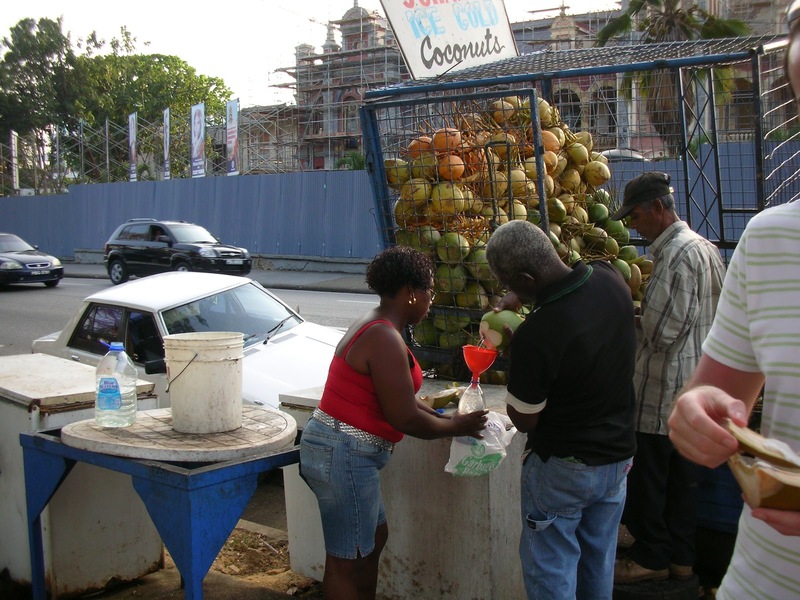 While at the Savannah we did have to get a coconut from a machete wielding vendor. Not a big fan of coconuts, but when in Rome, eh? We saw several groups of kids and young adults playing cricket. This is totally a game I do not understand. I was visiting Trinidad when the East Indies were hosting the Cricket World Cup — It would have been great to get to see a game, but I did zero research on sports before my trip. Something that now makes my regular pre-trip planning routine. If it makes sense, I really like to travel to a high point in the city and take in the views. I love a great cityscape. The best place (or so I was told) for this type of view and picture was at the Hilton up on the hill. We didn’t stay at or really spend anytime at the Hilton, but did take in the views. 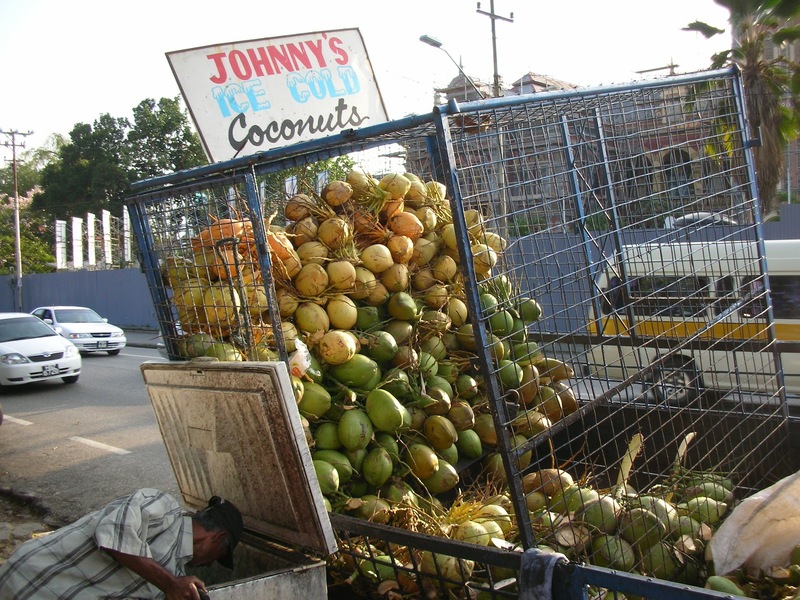 Do you eat fast food while on vacation (KFC, Coconuts from street vendors)? Where is your go-to place in a City for a photo op? By Tim in Travel on May 7, 2012 .